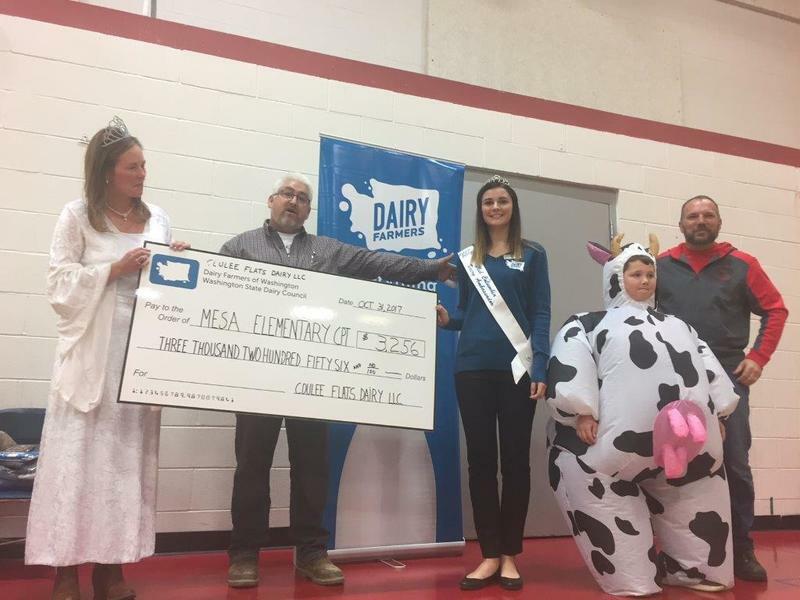 Coulee Flats Dairy and Charles Grimm, along with the Dairy Princess Abigail Zircher, presented Mesa Elementary with a check for $3,256 from the milk fundraiser last June. The money was generated from the community buying milk at JC's Grocery, and Coulee Flats Dairy matching any extra community donations that were received. Case Vandermeulen talked with the students about what comes from milk and Abigail explained to the students about her role as the Dairy Princess. We also happened to have Tucker Thomasson dressed up as a cow and joined us up front to receive the money.